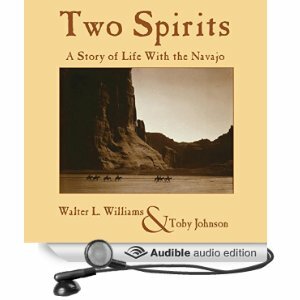 It was at the Mann Ranch that Toby Johnson met Joseph Campbell. 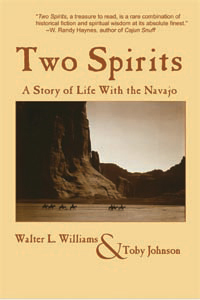 There are several stories about Campbell and the Mann Ranch on this website. 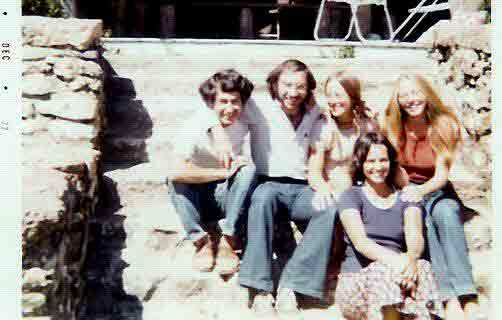 Guy Mannheimer on the left, then Toby Johnson, then Geri Olson, below Nina Winter, then Janice McHugh, a Canadian "undocumented alien" who lived in Toby's household on Arguello Street in San Francisco and was on staff for a couple of years. 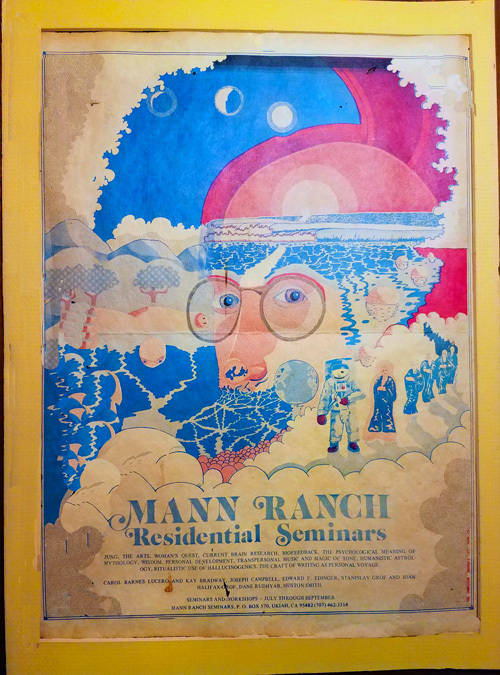 Here's a photo of Joseph Campbell speaking in the living room/“lecture hall” at the Mann Ranch. 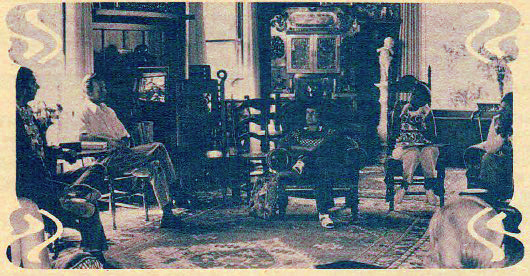 Toby Johnson is on the far left, with the sole of his Birkenstocks facing the camera. Rich Gabrielson--or one of his housemates-- traded the painting below for a crocheted top hat. Toby was making such costume-style hats in those days. The hat was white with a gold hatband. Rich was going to paint it with blue airbrush to give it the look of clouds and sky. This painting still hangs in Toby & Kip's guest bathroom. 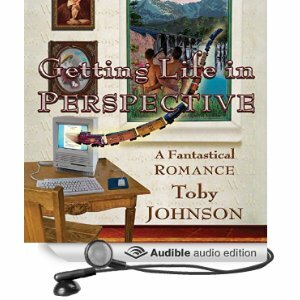 Toby Johnson, PhD is author of eight books: three non-fiction books that apply the wisdom of his teacher and "wise old man," Joseph Campbell to modern-day social and religious problems, three gay genre novels that dramatize spiritual issues at the heart of gay identity, and two books on gay men's spiritualities and the mystical experience of homosexuality. 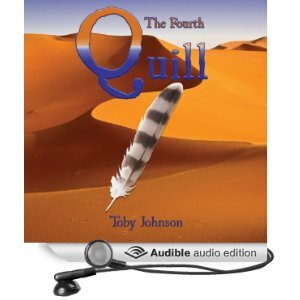 In addition to the novels featured elsewhere in this web site, Johnson is author of IN SEARCH OF GOD IN THE SEXUAL UNDERWORLD and THE MYTH OF THE GREAT SECRET (Revised edition): AN APPRECIATION OF JOSEPH CAMPBELL. 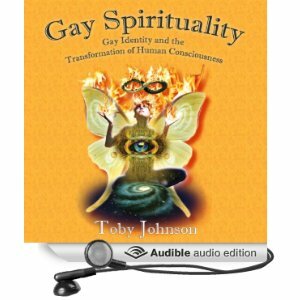 Johnson's Lammy Award winning book GAY SPIRITUALITY: The Role of Gay Identity in the Transformation of Human Consciousness was published in 2000. 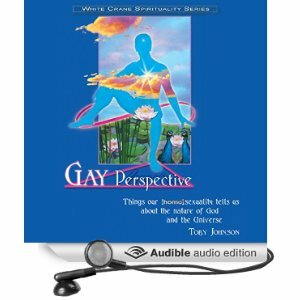 His Lammy-nominated book GAY PERSPECTIVE: Things Our Homosexuality Tells Us about the Nature of God and the Universe was published by Alyson in 2003.